China’s rural to urban migration is the largest population movement in human history. To unpack the intertwining relationship between migration and education, previous research tended to view migrant children as one universally vulnerable category, while ignoring the potential disparity in family socialization and functioning. This study investigated how these rural to urban migrant children in Zhejiang, China, described the ways in which their parents are involved in their education. A total of 30 migrant children (4th–9th Grade, mean age = 13 years) participated in the interviews. The results suggested that although they shared similar socioeconomic background, the high-achieving migrant children reported more parental support in academic socialization at home and in school than did their low-achieving counterparts. The study highlighted the salient role of socio-cultural factors such as perceptions of societal demands in influencing parenting ideology and behavior. The study concluded that the substantial in-group variation in children’s educational experiences might be attributable to differences in parental educational values and parenting styles, which are shaped by the broader social milieu. In your family, who is the primary caregiver? Do any of your parents help with your study? Any examples? How do your parents provide you with school-related support? What are the specific strategies that your parents used to support your learning? Do you think these strategies are effective? Why? How do you feel when your parents were not able to provide support? Do you experience family conflict? How do you usually deal with family conflict? Cheung, C. S., & Pomerantz, E. M. (2011). Parents’ involvement in children’s learning in the united states and china: Implications for children’s academic and emotional adjustment. Child Development, 82(3), 932–950. Retrieved from https://search.proquest.com/docview/881462072?accountid=14548. Kim, H., & Hoppe-Graff, S. (2001). Mothers roles in traditional and modern korean families:The consequences for parental practices and adolescent socialization. 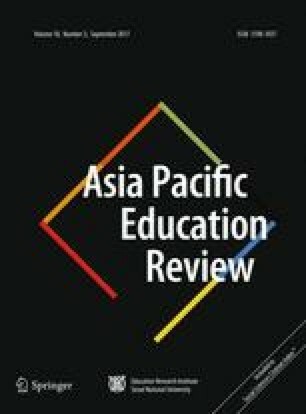 Asia Pacific Education Review, 2(1), 85–93. Retrieved from https://search.proquest.com/docview/62253469?accountid=14548. Wenzhou News. (2009). Children of migrant workers in Wenzhou. Retrieved from http://news.66wz.com/wenzhou/. Xu, H., & Xie, Y (2013). The causal effect of rural to urban migration on children’s wellbeing in China. Population Studies Center Research Report. 13, 798. Retrieved from http://www.psc.isr.umich.edu/pubs/pdf/rr13-798.pdf.